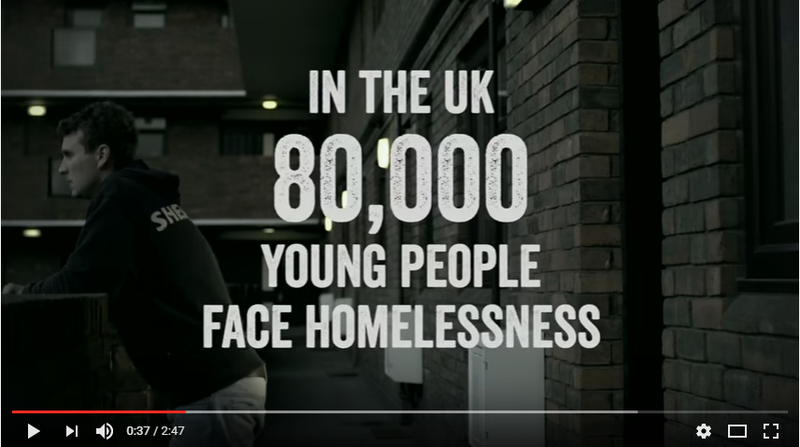 Watch our latest film to understand how EYH is educating and employing homeless young people across the UK. 103,000 young people sought help from their council last year as they were either homeless or at risk. The Transforming Futures Programme was set-up to help young people access education, employment and training opportunities. The Transforming Futures Programme, funded by the H&M Foundation and launched in 2016, supports vulnerable young people to break the cycle of homelessness by helping them into work. To celebrate the success of the programme, we’ve released a film following the inspirational journeys of 3 young people, Dean, Sophie and Jess. Through the dedicated mentoring, understanding and support of their Job Coaches, each of these young people successfully moved into work, training or education. This specialist employability scheme is delivered by four End Youth Homelessness member charities across the UK - 1625 Independent People, Aberdeen Foyer, The Benjamin Foundation and Roundabout – and incorporates tailored one-to-one support; a bursary scheme aimed at breaking down financial barriers facing young people in accessing education, employment and training pathways; and a digital careers platform that offers instant expert advice for employment opportunities. The film produced by Amity Films identifies the necessity of dedicated education, employment and training provision for vulnerable young people, and the overwhelmingly positive impact this can have in helping turn a young person’s life around.